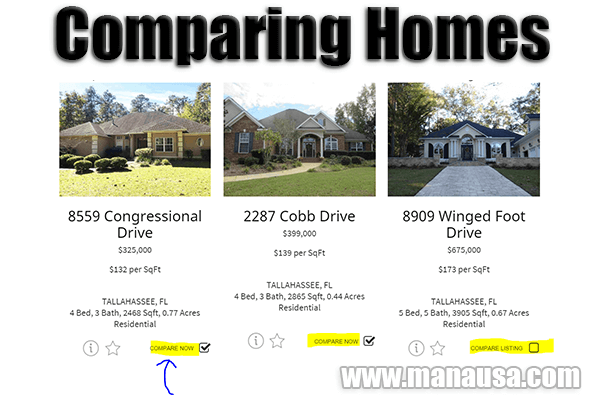 If you ever wished you could do side by side comparisons for a group of homes for sale in Tallahassee, you'll be happy to learn that we have added a property comparison tool to the Tallahassee Real Estate Website. Whenever you start to look at homes for sale, you will find yourself selecting favorites based upon different amenities that they have. 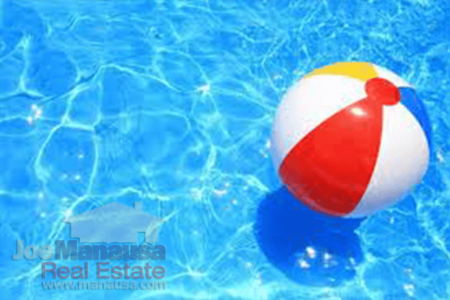 For example, you might add one home to your list of favorites because it has a completely renovated kitchen, while you might add another because it has the large swimming pool that you've been wanting. Whatever your reasons, when you finally accumulate a few favorites, how exactly do you go about comparing one with another? The easiest way I know to really compare multiple properties is to compile information about each one and then organize them in such a way as to be able to see the amenities and benefits of each one simultaneously. Realtors have had "side by side" analysis tools for years, but I had never really considered offering that with our property search tool until recently. Now, buyers who use the Tallahassee Real Estate Website can compare homes for sale in the same manner as do Realtors and appraisers. In order to compare properties, place a check-mark in the "compare listing" check box for every home that you would like to evaluate. Once you have more than one selected, simply click on "COMPARE NOW" and it will bring up the side by side comparison. The following image displays a typical side by side comparison of four different properties in the Golden Eagle Plantation subdivision. Note how nicely each home is displayed side by side. The property comparison tool allows you (at a glance) to see how each of the selected homes stands out in all the major factors of home valuation. The image above is merely a snapshot of the top half of the displayed results, so go ahead and give the side by side comparison tool a go and you'll be able to scroll down to evaluate further features of each home for sale. 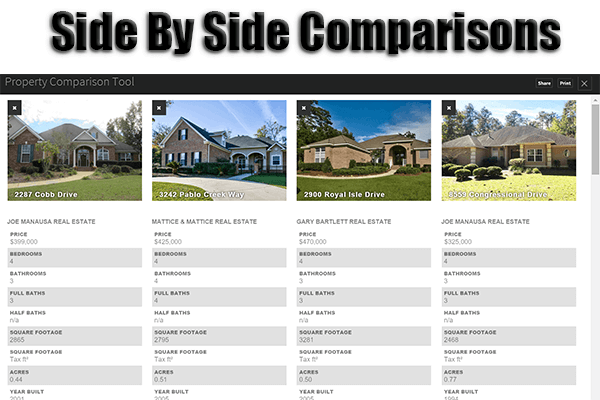 The side by side property comparison tool is just one of many things that we offer for our customers in order to find and obtain the best deal possible. If you are beginning to search for a new home, I highly recommend you subscribe to our free course titled "Home Buying For Smart People," it will help you save money for sure. 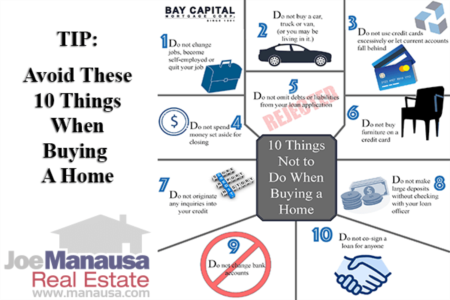 It's a new home buying process that we designed to save you money, and you'll be a much better prepared homebuyer after having gone through the course. Of course, if you simply want the best prepared real estate buyer's agent to take care of you, simply drop me a note and we'll be in touch with you right away.